Ensure power supply for your laptop avoiding overload or lack of the power during using your beloved laptop. Keep your laptop in Standby or Sleep mode when you’re not using it. Reduce the screen brightness to save the battery and avoiding the effect on user’s eyes contact. Keep or using your laptop in cool and dry place to keep it running smoothly as well as avoiding over heat control. Avoiding keep/using your laptop on your thigh it’ll heat your machine as well as could cause health effect. Use the sleeve to protect your laptop from any impact. Charge the battery correctly avoid charging while using it. Expert says should charge the battery when at least 20%. Shouldn’t overclock, ghost or reinstall the operating system too much, it’ll ruin your hard drive quickly. These the tips that we should know about our laptop using. Stress – mean we’re facing the biggest damn bored problem then. This month i’ve got a long road to run, not for exercising, but it’s for my work. Working as a sale is not so early happy when you get the result lower than what we expected. This month sale just make me so crazy. Headache and tired is the thing that i am facing right now. Just by now, MobileTechWorld posted a topic about upcoming update of WP7, codename Mango. 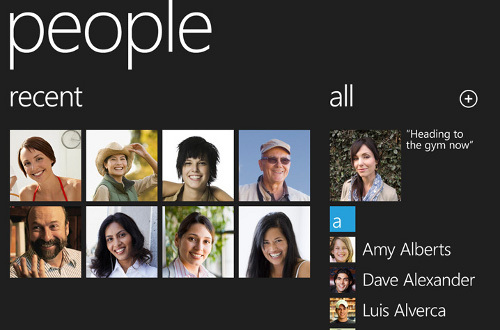 Mango will bring to WP7 users additional 500 new features which included Silverlight 4. So let’s wait to see what’ll happen tomorrow. Many people are so damn dying in love with iPhone. Not all of ’em are using iPhone for their business, but most of ’em are using iPhone just for social networking and entertainment, especially gaming. I can update, post a comment and view my friends’ update just only one single tap. The best part that i love the most is its’ speed. Facebook or any other social networking account running so damn smooth and fast. I love it. If you guys are the fan of iOS device, so why don’t you just try to experience with WP7 for once? I’ve been reading many topics about the upcoming update of WP7, Mango. This upcoming update will include some new and useful features like Windows Live Messenger, Office 365, Lync and some more new features will be included. However, it doesn’t matter what will Microsoft include in the upcoming update, but the matter is when will Mango release to the public? I can’t be wait for long time for and i can’t wait to upgrade my HD7 as well and I hope that Mango can fix color bit reduction on HD7.